1665+66, Surveyor of Highways (p158/163). 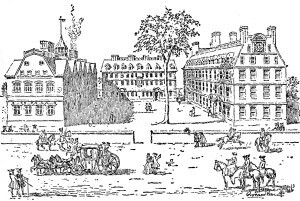 1673/74, Viewer of Fences for the Common Fields in Cambridge Village (p217). 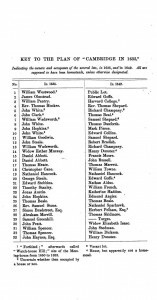 Note: We did not find the name ‘John Fuller’ in the Cambridge Town Records for any town transactions, activities or as an officer for the years 1632-1664. 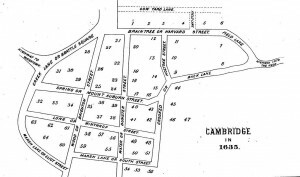 (1) Town of Cambridge, The Records of the Town of Cambridge (Formerly Newtowne) Massachusetts 1630-1703; The Records of Town Meetings, and of the Selectmen, Comprising all of the First Volume of Records and Being Volume II of the Printed Records of the Town. Printed by order of the city council under the direction of the city clerk (Edward J. Branson); Cambridge, 1901; University Press, John Wilson and Son Cambridge, USA. Townsmen: Capt. Daniel Gookin. Thomas Danforth. Jno Cooper, John fisenden, Thomas fox & mr Edward Jackson. 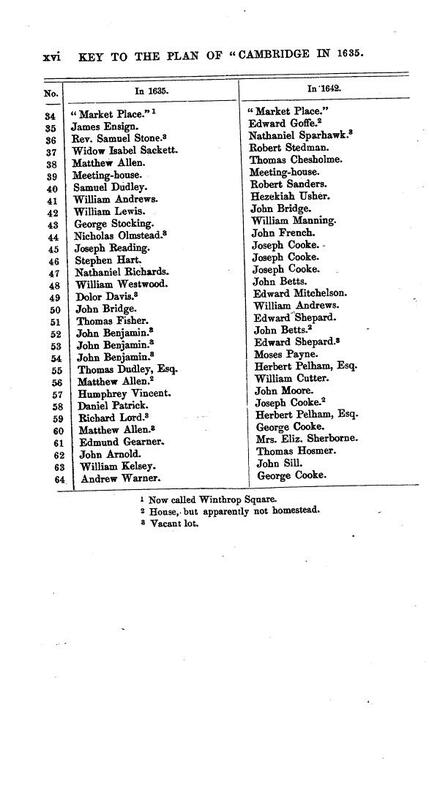 Surveyors of High ill: Isacke Sternes, Wm Dixon, Robert Browne, __ Ri, Dana ___, John Fuller. “At a meeting of the Inhabitants the 12th of illage, 1666. 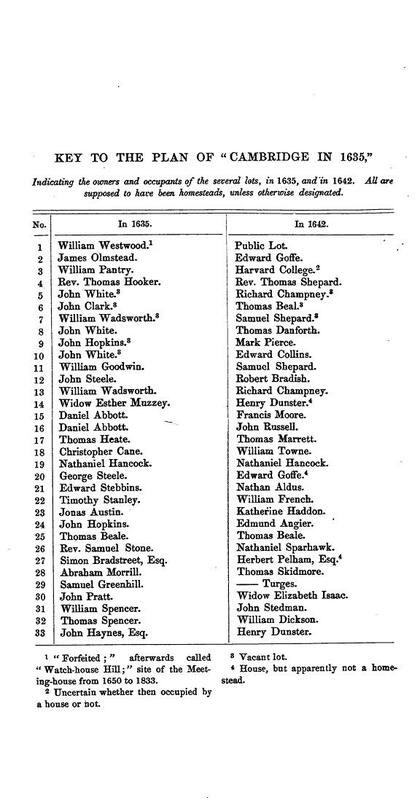 Mr William Manning, mr Samuel Andrew, & James Trowbridge, were chofen Constables for the yeare enfueing. Capt Gookin, Thomas Danforth, Edw Oakes, Jno fissenden, Jno Cooper, & Thomas Fox, were chofen Select men, for the yeare enfueing. 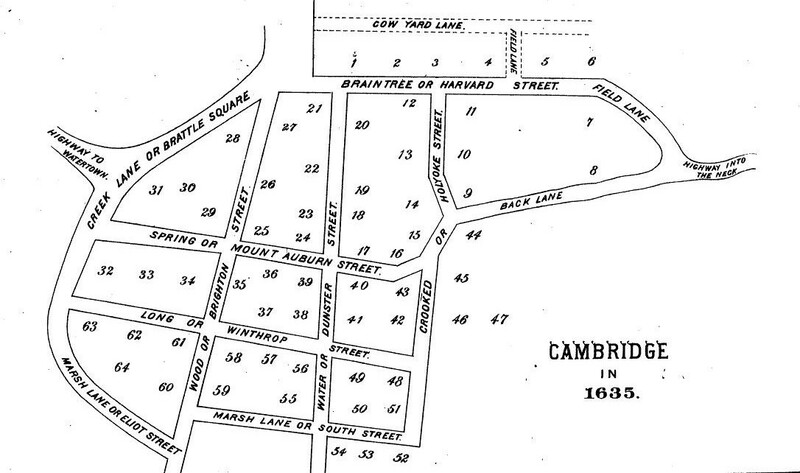 Paige(2) lists the land owners or homesteaders on his Cambridge Town Plan for the two years of 1635 and 1642 and John Fuller does not appear on either list. 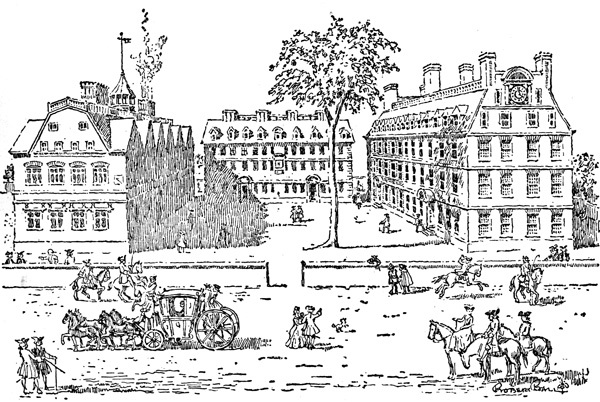 (2) Lucius R. Paige, History of Cambridge Massachusetts. 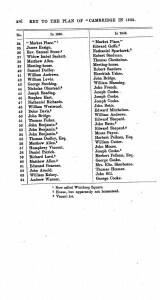 1630-1877. with a Genealogical Register, Boston: Published by H.O. Houghton and Company, New York; Hurd and Houghton, Cambridge: The Riverside Press, 1877; xv, xvi, xvii.